If you have the space to do so, planting a tree or two in your garden is a very good idea. Doing so will enhance your home as well as be good for the planet. There are many different types of trees you could use. But, today, I thought I would look specifically at shade trees. As you can see here there are dozens of varieties for you could potentially plant. All you need to do is to select the right one for one of the projects below. Unsurprisingly, most people use shade trees to create somewhere cool they can go and sit. To do that all you need to do is to select a variety that will grow in your climate, plant it and wait for it to grow. Once it is mature enough you can build a nice bench around the trunk. This type of seating is surprisingly easy to create. It will great and this type of bench is surprisingly comfortable. There is something really special about sitting with your back up against a tree on a warm summer’s day. It is a great way to while away a couple of hours reading a book or perhaps resting a chessboard on the bench and playing a game with someone. 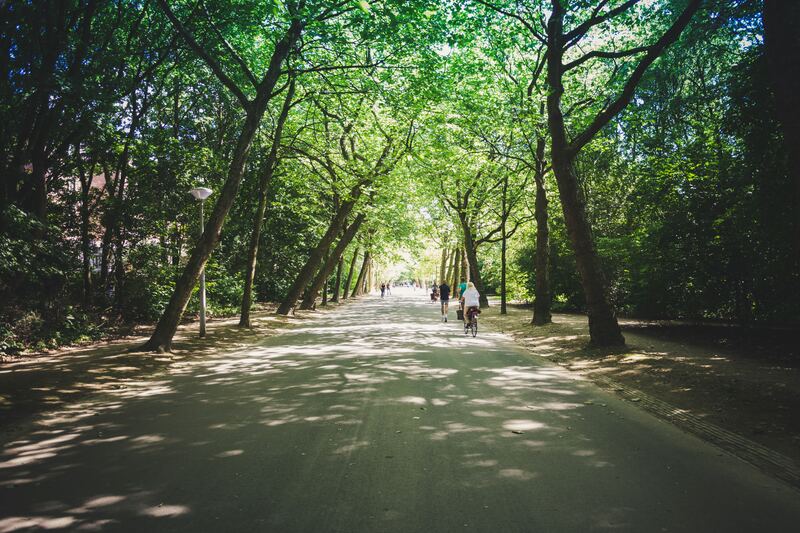 Shade trees can do far more than just provide somewhere cool for you to sit. They can also be used to keep your home cooler in the summer. Provided you plant them in the right spot they will cast a significant shadow over your home, which will help to keep it cooler. Using this method it is possible to shave a significant amount off of your summer electric bill. You will rarely have to use fans or air-conditioning. If you have the space to plant some of the larger varieties of shade tree, in time, you may be able to create a tree house. These are a wonderful addition to any home. They have the potential to be used in lots of different ways. Gone are the days where tree houses were only for kid. Increasingly, home owners are turning them into retreats for the adults in the family. They are an especially good place to meditate or sleep. There is something really relaxing about being as close to nature as you are when you are in a tree house. Hopefully, you will like one of the above ideas and be motivated to plant a tree in your garden. But, before you go out and buy one, I suggest that you go online and do a little more research into the varieties that have caught your eye. There are a few things you need to bear in mind to make sure that you end up buying the type of trees that are suitable for your garden and family. It is really easy to find out what you need to know online, especially if you take that advice from local government websites. It is so easy in winter to throw everything garden-related out the window and stay cosy inside as much as humanly possible. 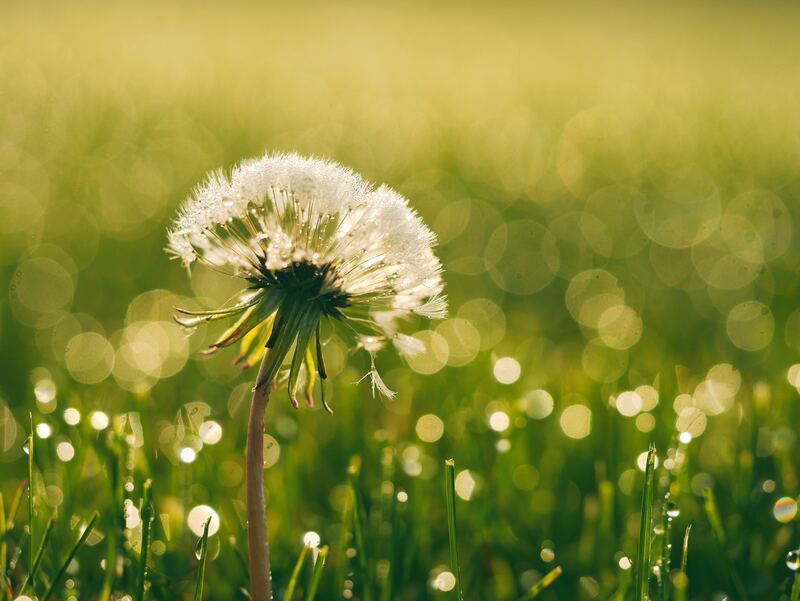 The issue with this is that when summer starts to show its face, you will no doubt have a very sad-looking lawn and garden to contend with when all you really should be doing is soaking up as much vitamin D as you can! For this reason, looking after your lawn in winter is an important task. Granted, winter lawn care doesn’t need to be a daily or even regular chore; doing odd jobs now and then like clearing leaves will go a long way. Or, if you would prefer not to have to venture out in the cold, you can let professionals take over. The first big reason why you should look into winter lawn care is the big pat on the back you can give yourself when your lawn isn’t looking forlorn and deprived by the time summer arrives. Although the amount of winter lawn care you can really do is restricted with rain, snow and all things in-between, there are some little tasks that can make a big difference in the long run! Clearing leaves and debris from your lawn’s surface is one way to help it survive autumn/winter – if your lawn is constantly covered it will simply be unable to breathe. 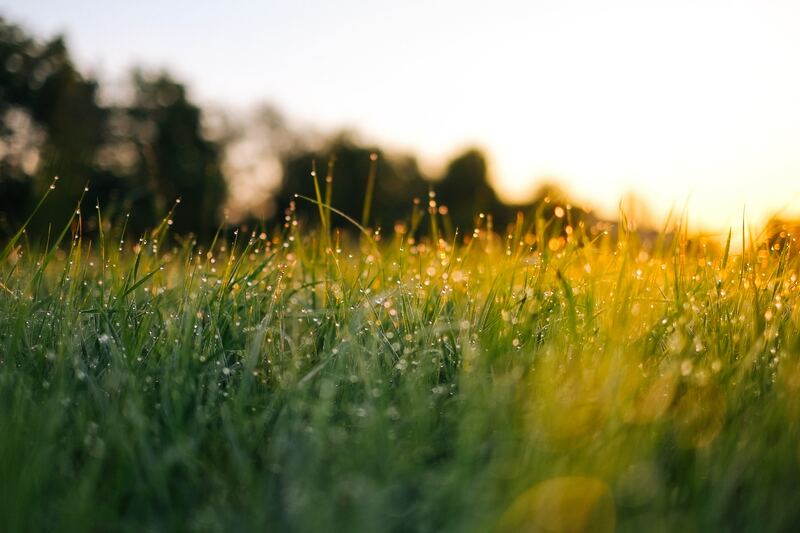 To help with allowing your lawn to breathe, you could also get ahead of the game and poke small holes into the surface of your lawn before the colder weather comes around. You will thank yourself later. 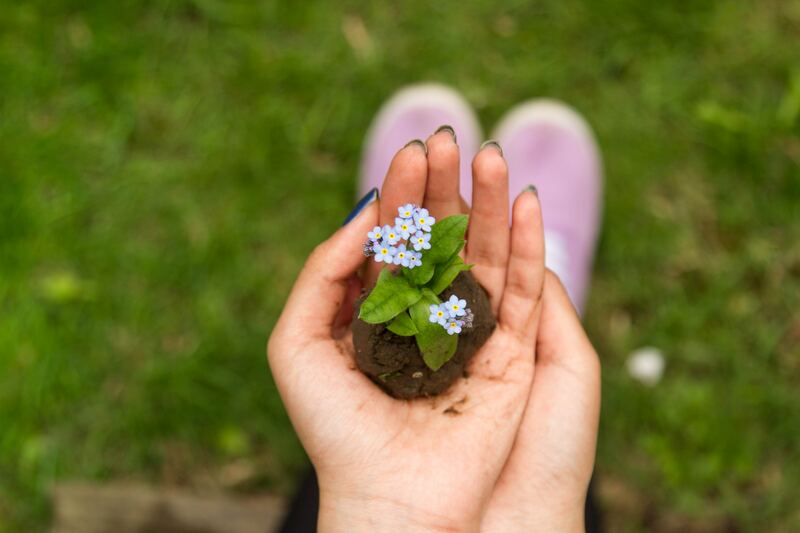 If you feel like you simply don’t have the time to invest in lawn care – as a busy parent I can relate – there is, of course, the option to let professionals do the work. Greensleeves offer an affordable lawn care service with a range of seasonal treatments, even in winter, to keep your lawn happy and protected from the elements. If you are always on the go and preoccupied with children and family duties like most parents, you can schedule Greensleeves’ visits in all year-round to keep your garden looking its best without so much as a thought. The second important reason why even parents/guardians with busy schedules should take winter lawn care into account is for the children. Having a safe and healthy space for children to play in outdoors is an important part of childhood and whilst there is the option to take children to local parks, having your own space will make both yours and their life so much easier! 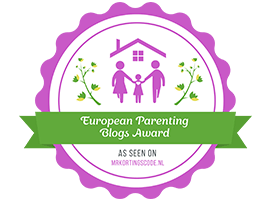 Picture this, it’s a sunny day but you have some jobs in the house to be getting on with – if you have a healthy and secure garden you can let your kids loose to entertain themselves. What a luxury! If you keep your garden in good nick you will no doubt be pleasantly surprised at the nature that congregates too. Leaving bread or seeds out on the grass or in a bird feeder will encourage winter birds like the famous robin to pay your backyard a visit. There is nothing more serene than looking out the window on a chilly winter morning and seeing a multitude of animals happily enjoying your garden. Hopefully, these three big reasons why you should spend some time on your winter lawn care have motivated you to layer up and get stuck in – or to give the professionals a call and book in some lawn care treatments! Is Your Garden Fit For Winter? 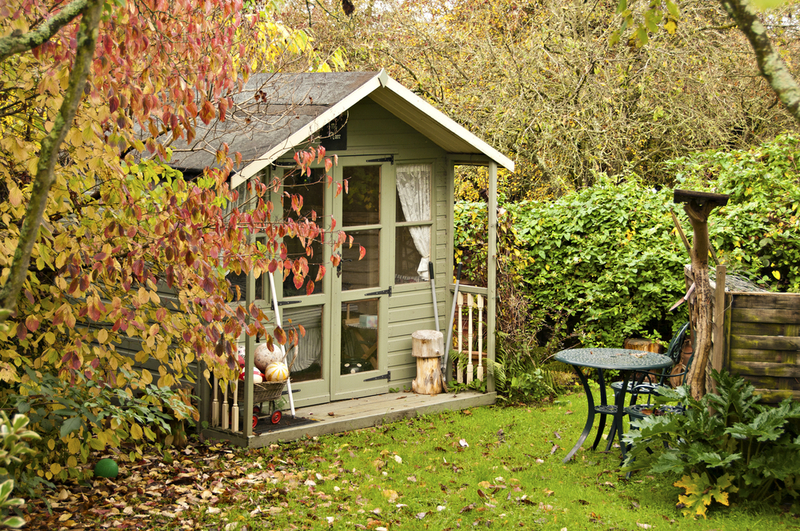 Just because the evenings are getting a little chillier, there’s a distinct bite in the air, and the sun isn’t shining for as long each day, doesn’t mean you shouldn’t still be able to utilise your garden. 2018 has seen a scorcher of a summer, with families enjoying more days at the beach, barbecues in the back garden, and picnics in the park. Don’t think that just because we are waving goodbye to these balmy summer days, that we have to say cheerio to our outdoor space for another year too. 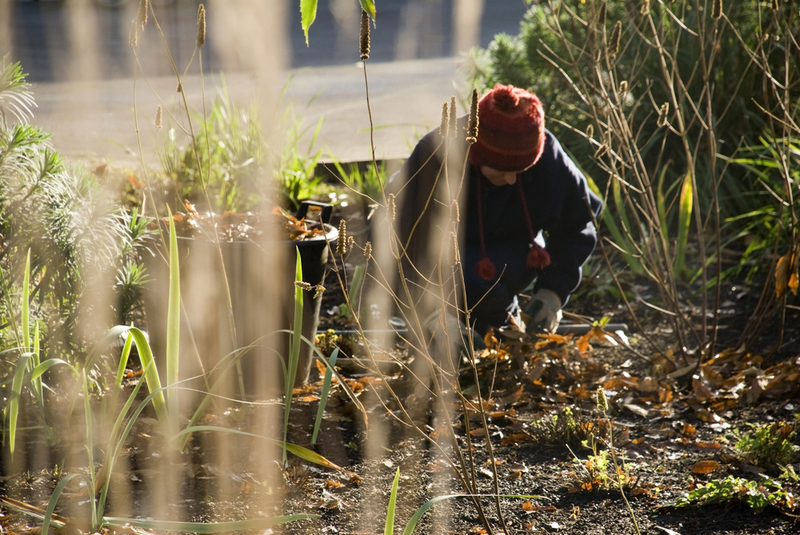 Take a look at these ways you can ensure that your garden is fit for winter. You shouldn’t be enduring a cool winter al fresco dining experience, shivering in below zero degrees Arctic blasts with your teeth chattering under a hat and scarf. Instead, consider installing some outdoor heating to make your chillier season a more pleasant experience. Chimineas are stunningly beautiful, architecturally unique and can add a touch of flair and individuality to your patio area. With the fire roaring, you can toast marshmallows with the family, enjoy an evening outdoors or simply enjoy stargazing on a snowy night. If you have a decking area, make sure that you treat it with a non-slip coating or spray. Wooden deck boards can break up your garden and add another zone to your outdoor space. However, a spot of rain or some soggy leaves can turn this surface into a death trap. Add a splash of ice and wintery conditions, and you may fear your own back garden. Add some grippers, cover the decking or use a non-slip spray to ensure your own safety outdoors. Even if you don’t have the finest horticultural knowledge, you can still flex your green fingers. Everyone want their gardens to look pretty, no matter what the season. While your daffodils may flower in spring, and your sunflowers might grow tall in the summer, it can be tricky to know what to have in your garden come the winter. Choose something elegant and easy to look after. 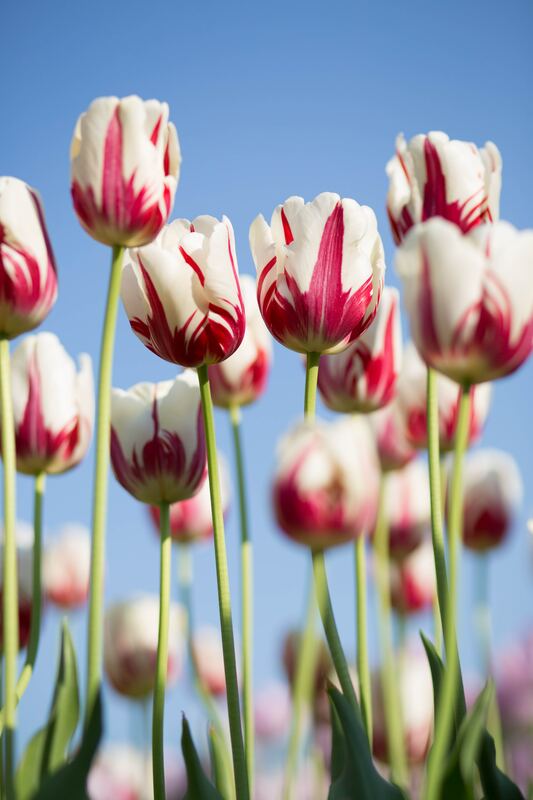 Planting a few bulbs of roses, crocus and dahlias, mean that you won’t have to be getting your hands covered in soil every season, as these colourful flowers will bloom every year. This is the ideal solution to your aesthetic garden issues if your outdoor space descends into a bit of an overgrown jungle as soon as it becomes a little too chilly to mow the lawn. To protect you from the elements, consider getting hold of an awning or patio covering. This means that you can enjoy reading the latest bestseller next to your chiminea come rain or shine. By ensuring you are safe against any weather, and that you’re comfortable, you can still enjoy the outside area of your dwelling. Winter can be the most stunning season, and it seems such a shame that we don’t utilise our gardens more just because it gets a little colder. Use this guide to inspire your winter garden. The autumn winds have picked up this week in the UK and it’s been quite blustery, although there is still some lovely warmth from the low-hanging winter sun that occasionally manages to peak through. With that said, you might be looking wistfully at your garden that you’ve spent much of the summer enjoying and relaxing in, longing to get back out and soak up the late summer warmth before the winter chill cuts through. It doesn’t need to be this way, however, there’s still time left to winterize your garden and make it somewhere nice to relax in, even during the chilly months. Here are some pointers on making your garden habitable, even on those damp and dark winter days. A shelter is going to be necessary to protect yourself from the increasing winds and icy rain, summer gazebos are cheaper towards the end of summer, with a few models often reduced to clear the stock before the Christmas stuff starts to sneak onto the shelves. If you decide to invest in a gazebo, make sure it’s rated waterproof, otherwise you might end up unexpectantly wet from a sudden rain shower. Alternative shelter options include; a wooden shelter (or shed makes for a nice cheap alternative), retractable awning, marque (waterproof rated) or a greenhouse. Not worried about the appearance of your shelter? Get down to your local beer garden and ask if they have any pub umbrellas going spare after summer, most pubs will get new brollies in the Spring and they are good for staying dry. While some people don’t feel the cold and others are happy to wrap up in a few extra layers, there are those that do feel the cold and will find the idea of sitting outside unbearable. If you are hoping to use your garden in the winter, you’ll want to consider investing in something to keep you warm. Whether this is a good quality winter coat, a warming pair of thermals and a cosy pair of gloves or something that produces warmth like a gas patio heater, firepit or electric garden heater. *Safety note* Never use any fuel burning appliance in an enclosed space without sufficient ventilation. If you are planning to build a dedicated garden room (like a shed, greenhouse or walled shelter) it’s advised that any appliance that uses combustion as the method to generate heat is professionally installed by a qualified engineer. This is to prevent fuel burning inefficiently and producing Carbon Monoxide, a tasteless, non-smelling, invisible gas that can cause CO Poisoning and can lead to sickness or worse. Electric heaters, electric fan heaters and solar panel heating are recommended for use in enclosed spaces as there is no combustion required, although always check the manufacturers instructions before use. If you’ve got pets or kids who love to burn off steam in the garden, you’ll likely dreading the autumn and winter months for the dirt, leaves and general mess that tends to get dragged in to your home after a jaunt outside to play. While of course, you could pave over the garden and turn it into a terrace, that takes away from the aesthetics that a well-maintained garden offers. Alternative options for reducing the mess include laying artificial turf or creating a small enclosed area outside the door to safely stow away mucky shoes and a towel for cleaning muddy paws. Artificial grass is perfect for dogs and children for its durability and low-maintenance requirements and still maintains the lush, green appearance of a looked after garden. Another potential option is to aerate the ground with a garden fork or dedicated lawn aerator, as this loosens up the ground, allowing water to drain away more freely, however, the mud will still get churned up slightly under regular heavy use. The joys of a having a garden don’t have to just be for the Spring and Summer, with a bit of proactive preparing and a small investment, you can have your garden friendly for year-round use and even make it warm and cosy for those dark winter evenings. Do you get any use from your garden over the Autumn and Winter months and do you have any tricks for avoiding muddy tracks and leafy messes?